If you can dream it we will make it! We love to share the experience of collaboration with each client. We send progress shots along the way so you can make changes - and the price includes all the details like crystals, feathers and arrowheads! Please email info@spokewoven.com for more information and to order! Below are just a few examples to spark the imagination. 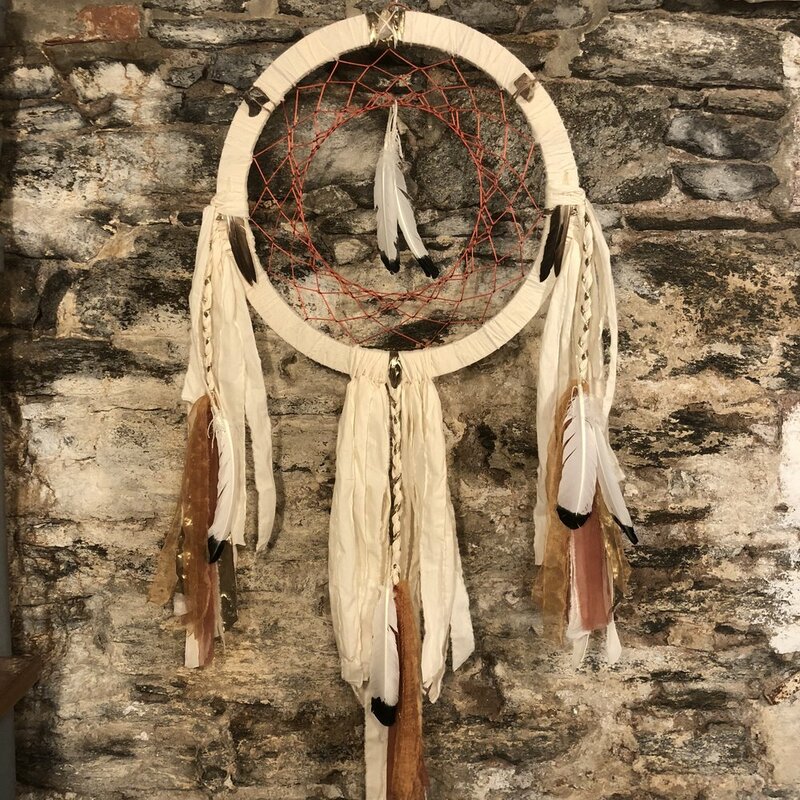 You can find many more dreamcatchers in the picture gallery.